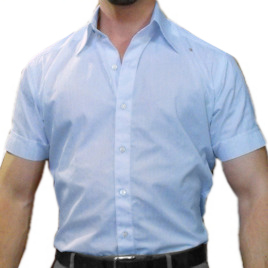 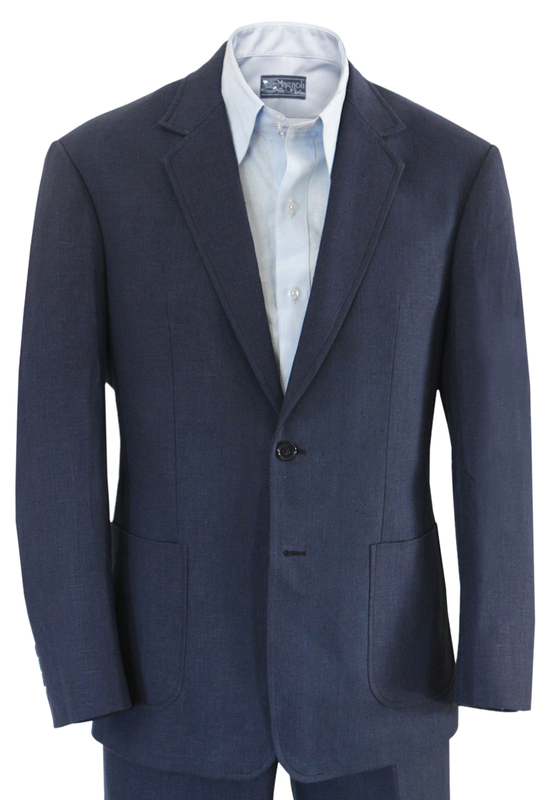 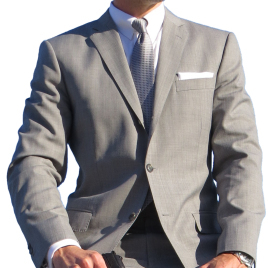 This casual summer suit features a single-breasted two-button jacket with notched lapels and swelled edging. 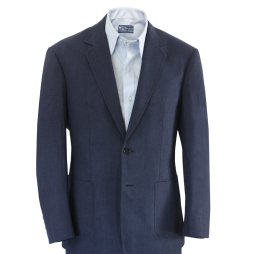 Two side patch pockets, long double-vents and working buttons on the sleeve cuffs complete this jacket. 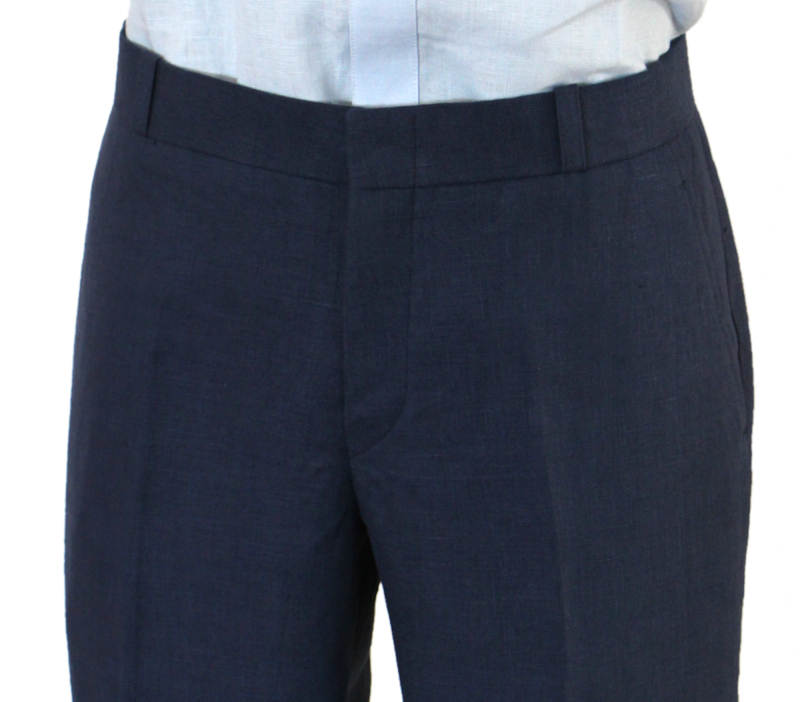 Pants are flat-fronted with belt loops.